The CBC Poetry Prize juror answers eight questions submitted by eight other authors. 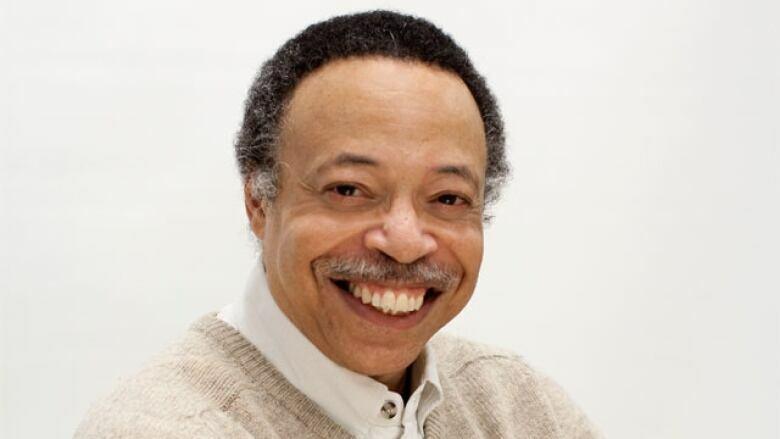 If you think CanLit is a sterile place, you need to read more George Elliott Clarke. Canada's latest parliamentary poet laureate never strays far from love and its iterations, and Clarke's latest novel, The Motorcyclist, is no exception. Below, George Elliott Clarke answers eight questions submitted by eight of his fellow writers in the CBC Books Magic 8 Q&A. 1. Martine Leavitt asks, "If your child came to you and said, 'I want to have a career as a writer,' what would your response be?" Express yourself, have fun and stimulate others' imaginations. 2. Lawrence Hill asks, "Why do funny novels get so little respect in Canada, and have you ever burned with desire to write something so damn funny that readers will fall right out of their chairs? Is that a laudable goal?" 3. Andrew Pyper asks, "Have you ever been surprised — deeply and honestly shocked — by the violence of a reader's reaction to your work, whether positive or negative?" 4. Jordan Tannahill asks, "When have you been the most turned on while writing?" At 35,000 feet, in sunlight or moonlight, with music in the ears, drink in the blood and words flowing non-stop. 5. Lorna Crozier asks, "A question I've never been asked, and fear being asked: What makes you dare to be a writer, to think you have something to say to me?" Writing is merely a mature form of crayon art. Like any three-year-old delighting in adding colour to a page, the writer should delight in exhibiting his/her "colours" in hopes that the joy in creativity will elicit a matching joy in welcome. 6. Sharon Butala asks, "What is the main question that you wish somebody would ask you, although nobody ever has?" Upon which literary figure have you modelled your "lifestyle" and your poetics? 7. David McGimpsey asks, "If a robot wrote beautiful poetry, should the robot be eligible to win the Governor General's Award?" I'm reminded of the African-American folk legend of John Henry, who competed against a steam-powered drill to see what was faster in tunnelling into and through a mountain: Human or machine. Henry "won," but died on the spot; so his was a Pyrrhic victory. But all the ballads are about Henry's struggle, not about the insensate thing that proved his brawn a fossil power. The moral is, a machine may best the human mind at even the art of poetry, but it's more likely the losing poet(s) would be celebrated (or lamented), not the mechanism. But, yes, the prize money should go to the robot, but the victory party might be a little — ahem — tinny. 8. Jalal Barzanji asks, "How did you feel when you finished your most recent book?" Ready to move on (God willing) to the next.